Students from years 7 to 11 went on the cultural tour of New Zealand. 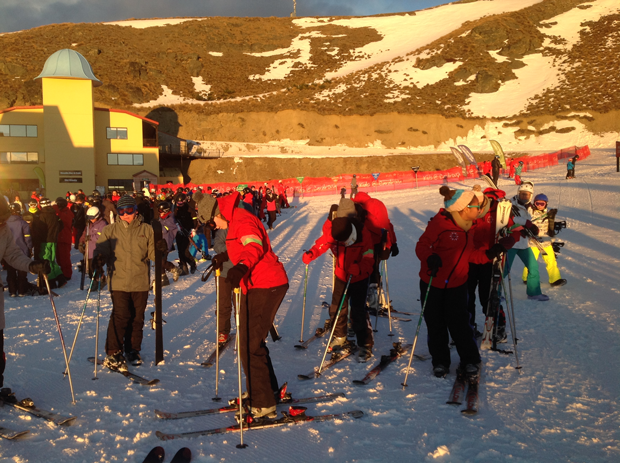 Students experienced two days of skiing on the Cardrona ski fields! Other activities included a traditional Maori Hangi, walking in the Mt Cook National Park, walking to the snout of the Fox Glacier and gold panning in Greymouth. A particular highlight for students was the helicopter flight with a landing on the Fox Glacier - fresh, untouched snow!! Thanks to Craig Snow for organising the tour and thanks to teachers Sarah Pitchers, Paul Jefferies and Magdeline Lum who also made the tour possible.